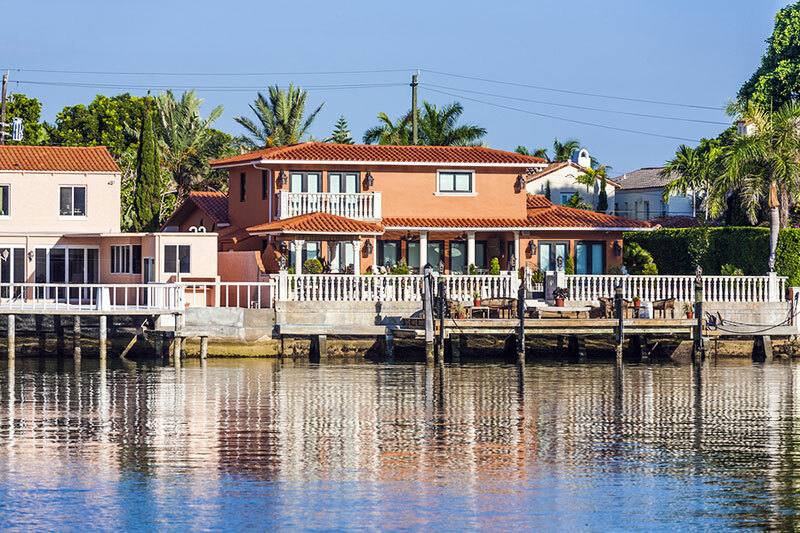 Whether you’re still considering a move to Miami or already planning the details, you will be able to make important decisions on things you were not sure of after you read this. Most people who plan to relocate to Miami have two very important questions: Am I making the right decision to move? What is the most affordable and efficient way to handle my move? Moving Advice to Miami that deals with factors you have to consider before your move, things you should know about the city, and ways to reduce your moving costs. Guide to getting settled in the city – Miami apartments, jobs, and more for new arrivals. It is important to know what you should expect when you move to Miami. This will help you to plan more efficiently and be prepared for what lies ahead of you. First of all, many people move to Miami because of its temperate weather. Many retirees choose to move to Florida to avoid the cold and wet snow. You probably know that it is a warm place where people are usually attired in swimwear and a cool breeze comes from air conditioners. The weather thus dictates a very laidback lifestyle with strolls to the beach and keeping an active and healthy daily routine. It is not at all weird to see people commuting to work in shorts and a bicycle. People here love holidays and celebrations and nightlife is pretty serious. More than 300 festivals mark the Miami calendar every year including food, wine, arts, music and fashion events that spice up the local scene. As mentioned earlier, close proximity to the beach imposes a very liberal dress code and health conscious lifestyles. Expect to jump right in to Miami traditions of fitness gyms, wellness spas, and assorted outdoor activities at the beach. If possible, avoid moving during the summer. The average temperatures in Miami from June to August range in the 90s even reaching 100 degrees Fahrenheit. 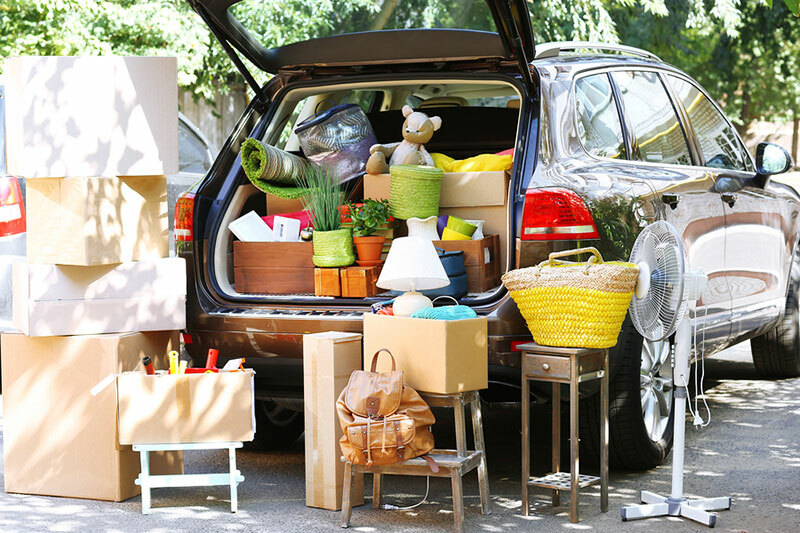 It can be very uncomfortable, even dangerous to your health, to move during this time.If moving during the summer months cannot be avoided, schedule your move in the evening although it will still be humid and the air even filled with mosquitoes. You have more flexibility if you are moving to the coastal regions since breezes can give relief to the oppressive heat. Moving to Miami is best done during November to May. However, be prepared for high traffic due to increasing number of temporary visitors and vacationers who escape the freezing weather in other states. 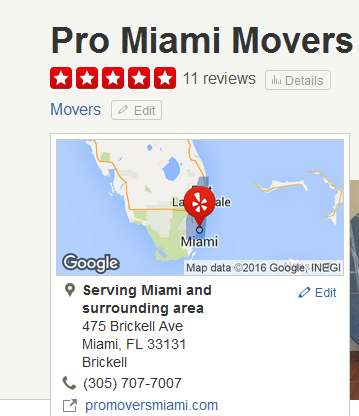 Miami professional moving companies offer a wide assortment of moving services for all kinds of moves. These companies can make moving a lot easier and stress-free so you can concentrate on easing your way into Miami life. 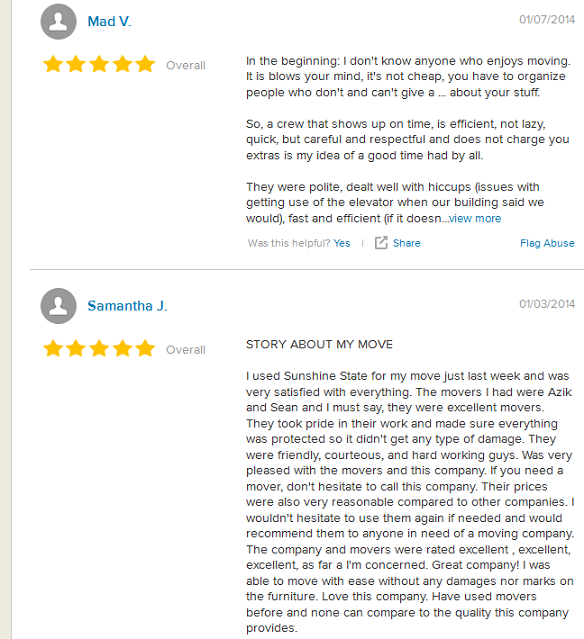 Get 5 free quotes to compare and review movers before you hire to avoid overspending or being scammed. Most people in the city, Spanish is the primary language. It is best to know some basic Spanish before you move. Professional movers are not all the same and they are differentiated by the type of moving service they offer. It is best to choose movers that specialize in your type of move – local, long distance, interstate, or international. By choosing the right moving professionals, you can guarantee a more seamless and cost efficient move. There are small companies operating in Miami that focus on small and local moves. They have fewer trucks and crew but can offer lower rates. 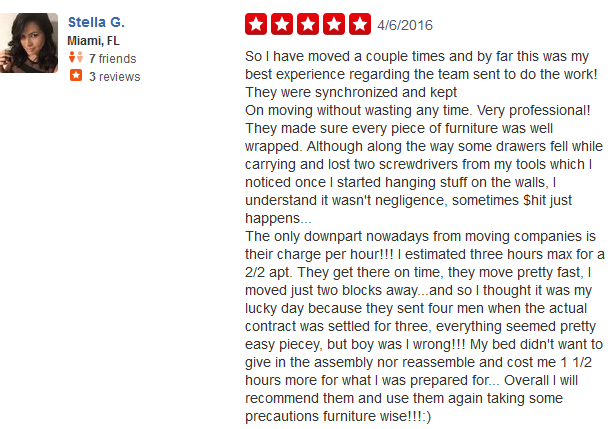 Be careful when choosing local movers and make sure the company you choose is licensed and carries insurance. 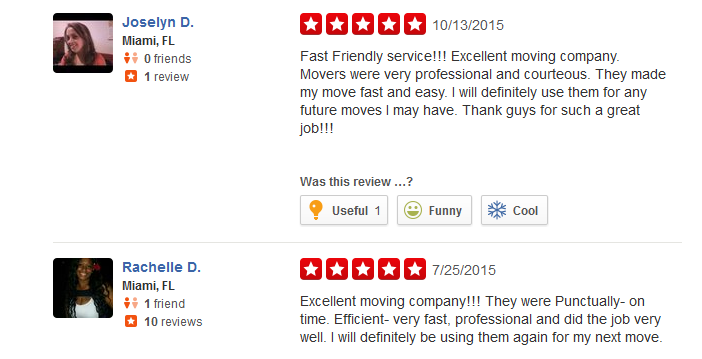 For local moves, most professional movers charge on an hourly basis and a minimum move time. You can compare moving rates by requesting for free online moving quotes. A long distance move can mean only 15 miles but still considered a long distance move when you cross state lines. It could also start and end in the same state or another state. It is important to know if your move is intrastate or interstate because professional movers will charge you based on your destination. Interstate moves are regulated by the Federal Motor Carrier Safety Administration’s rules. Even if you are bound for the same state, if your truck crosses state lines at any point, your move is going to cost a bit more. It is best to hire professional movers that are experienced in long distance moves in these situations. Long distance moves are based on 2 things – distance and weight. To know more about how movers charge for long distance moving services, get more details from http://5moversquotes.com/cost-of-hiring-movers-in-the-united-states. International moves can be a headache when you are doing it on your own. An international move means starting in one country and ending in another, for instance, Canada to the United States. You need to choose international moving companies that understand how to reliably ship your goods. Professional movers who specialize in international moves can guide you in clearing your belongings through customs and avoiding delays and other hassles. If you are still feeling unsure about hiring a professional moving company, you can look up http://5moversquotes.com/12-advantages-from-moving-without-professional-movers to help you make up your mind. 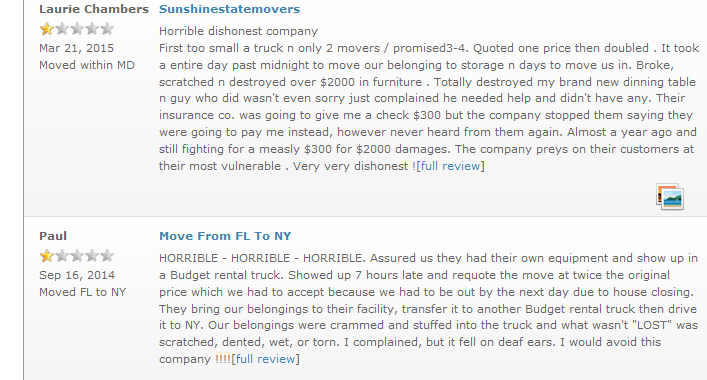 We have heard horrific stories of moving companies that have victimized people. You don’t want to be another victim so it is important to choose your moving company wisely. Not all moving companies are equal and it’s a mistake to think that the lowest rate is the best deal. Here are some of the worst scenarios that can happen to you when you go for a “not so professional” moving company. Low-ball estimates provided over the phone that double or triple on moving day. Many moving companies can provide moving quotes on the phone but these quotes are estimates that are not binding unless written in a moving contract that specifies guaranteed rate or not to exceed rate. Some dishonest movers try to entice customers by giving a low estimate that they jack up based on one pretext or another during your move. Make sure to get in-home estimates when you choose your mover and ask for a written and binding quote. Additional charges for stairs, elevators, heavy cargo when you are paying by the hour. Many movers charge on an hourly basis which starts from the time they arrive at your doorstep to the time they complete the move. Professional and reputable movers won’t charge you for stairs or elevators. Your cargo is held hostage unless you agree to pay the higher price. Many people have experienced this nightmare. On a long distance move, you could be waiting months for your cargo to arrive and your mover refuses to deliver until you pay more than the original price agreed upon. A rental truck arrives at your doorstep and you are dealing with a different mover than you first spoke to. Some fly by night operators represent themselves as a moving company but operate without a license. In this case, you could end up moving with a crew that has no experience or training, and worse, no insurance. You could also be passed off to an entirely different company and you would be totally confused about who you are actually moving with. This is a common moving scam wherein you could be charged a different price at the last minute. Always make sure you are speaking with an actual mover and not a broker. 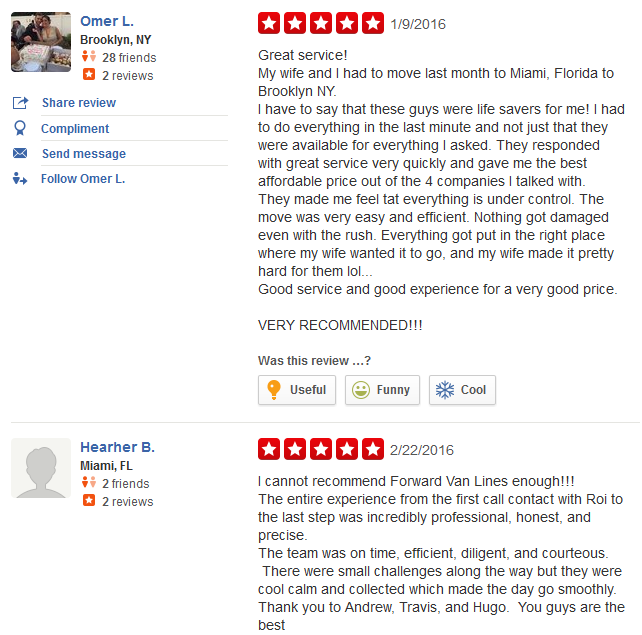 Get 5 moving quotes online and compare moving companies and their services. Watch this very informative video from CBC capturing actual details of a moving scam to know what to avoid when you hire movers. Now that you know how to dodge a bullet and avoid being robbed by duplicitous movers, you are in a better position to review and compare moving companies and moving deals. 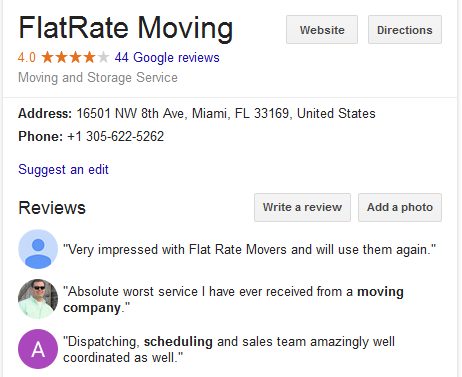 Always check moving reviews to find out what customers have experienced about the moving company. 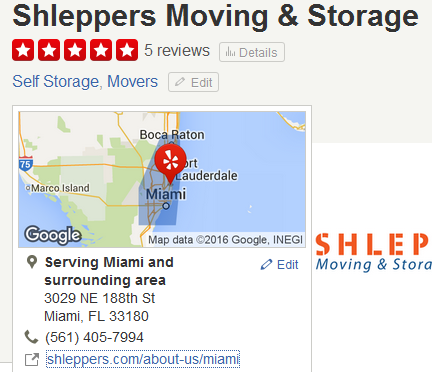 There are many moving companies that serve Miami and its surrounding areas. Some moving companies are large enough to handle even interstate and international moves. When choosing your movers, it is best to look at factors such as experience, professionalism, customer service quality, along with price. We have included customer reviews for each company listed below. It is best to check out each company while paying attention to their pricing, length of operations, and customer experience. When you have reviewed these companies to your satisfaction, you can request for your 5 free quotes to access the best online moving quotes for your move and compare moving rates. This moving company offers experienced and professional moving services. As a family owned company, the business guarantees flat rates for your moves to Miami and South Florida, locally, cross country and internationally. It also offers packing services for households and businesses. When you hire this movers, you get a cap limit on your moving estimate with a guarantee your moving cost won’t exceed that. The estimate is provided in writing so you have a binding, not to exceed quote. 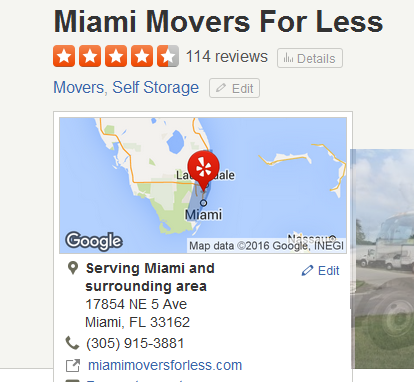 For relocation services, packing, moving supplies and storage, this Miami moving company can help you to move with reasonable rates. 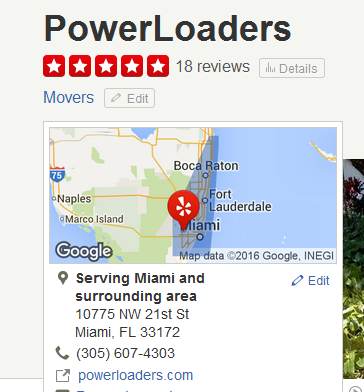 This moving company offers residential and office moves in Miami and all of South Florida. As local and long distance movers, the company adopts a business model that ensures locked-in service pricing provided to customers in writing. Long distance moves are estimated with an in-home estimate by one of their moving experts to give you an accurate moving cost. For storage needs, their facility is clean, air-conditioned, and has 24-hour video surveillance to ensure safety of your belongings. Month to month agreements are accommodated while long term storage can get great discounts. 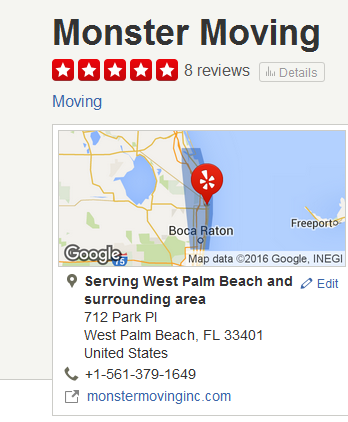 If you need to move to or from Florida, this moving company can come to your rescue. 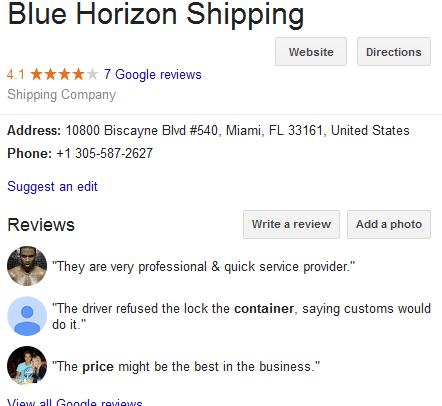 The company offers local and long distance moves in South Florida and can also handle international moves. In addition, it offers specialty moving such as pianos and fine art. 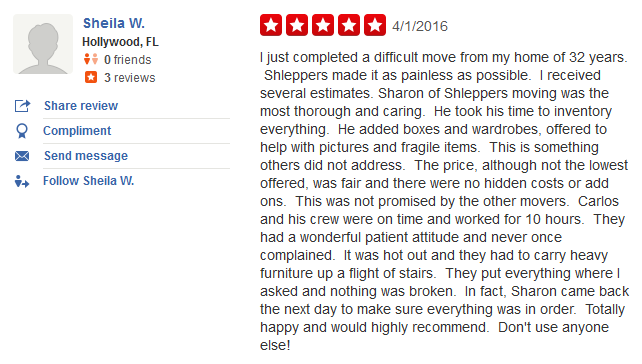 As a family owned moving company since 1978, Schleppers has established a fine reputation even among celebrities. 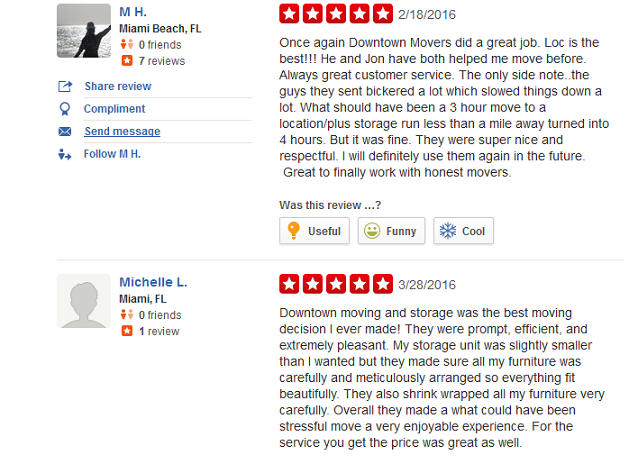 Miami Movers for Less has been in business since 2007, providing excellent moving solutions to people in Miami and surrounding areas. They specialize in household and commercial moves locally or other parts of the United States. The company also has a climate controlled storage facility for your belongings located just off Miami Gardens exit off I95. Most importantly, they are licensed to pick-up cargo anywhere in the US as they carry local, interstate and intrastate moving license. They also offer full coverage moves to guarantee your precious cargo is fully insured. Payment options are convenient with PayPal, credit card and debit cards. This is a full service commercial and residential logistics company serving Miami and South Florida since 2004. For household moves, and even dorm moves, the company offers packing and unpacking services, basic loading and unloading, and mobile storage in case your new destination is not yet ready but you need to vacate your current premises. Full service moves are priced based on size of the move. 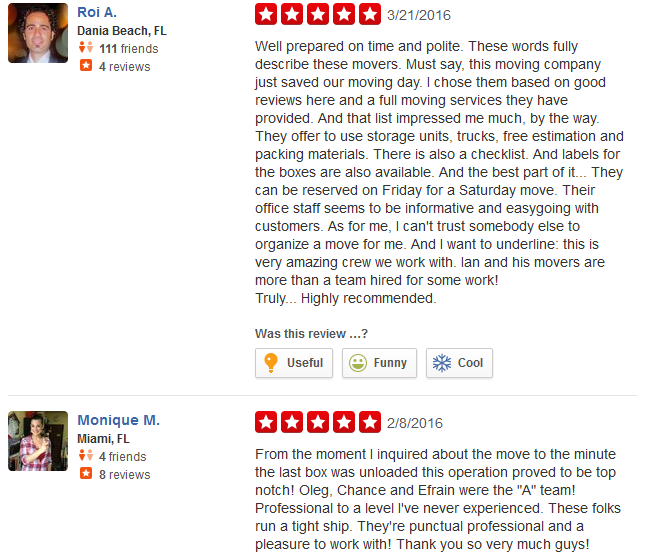 This moving company is based in West Palm Beach, Florida and offers commercial and residential moving and storage services. It is family owned and has been in business for more than 8 years. Aside from moving services, the company also offers customers with additional services with its real estate services and designer services, cleaning services, furniture assembly and packing services. If you want to go DIY, the company also offers reasonably priced moving supplies. This is a fully licensed and insured moving company offering affordable loading and unloading, and furniture disassembly. Not a lot of information is available about these movers and a check with the Better Business Bureau shows it is not accredited and has a current F rating due to failure to respond to customer complaints. A check of customer reviews shows it has negative and positive customer feedback. This moving company specializes in local, long distance, commercial, and international moves. They are happy to service dorm moves/student moves, family moves and office moves. It first introduced flat rate, all-inclusive pricing in New York City more than 20 years ago and continues this “no surprise” pricing model to this day. To ensure your move suits your budget, the company also offers add-on options and to meet your moving needs. If you wish to do some of the moving tasks like packing on your own, the company will gladly supply you with moving supplies and allow you to customize your moving plan to suit your budget. With offices in New York, London, San Francisco, Los Angeles, Singapore, and Denver, among others, this company can move you anywhere in the US or even internationally. 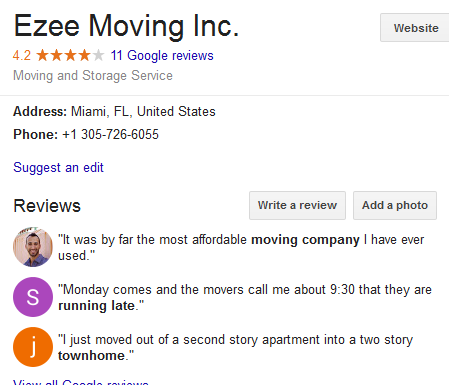 Ezee Moving is a family-owned business that strives to provide efficient and affordable moving services since 2011. 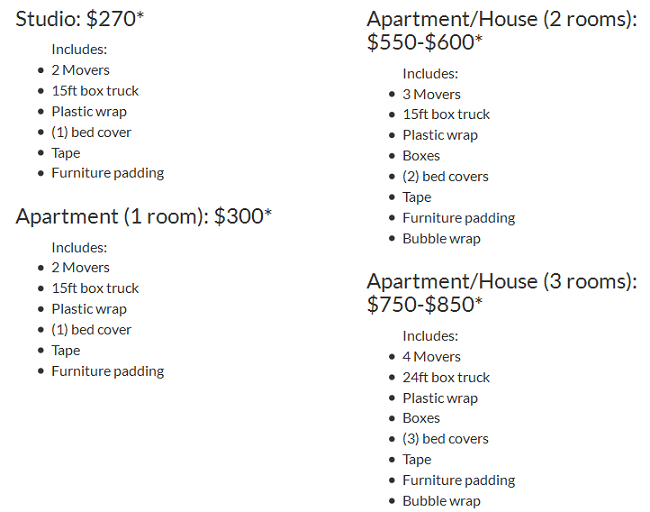 They offer studio and apartment moves, household moves and deliveries. Check out their estimates below subject to change based on other criteria. 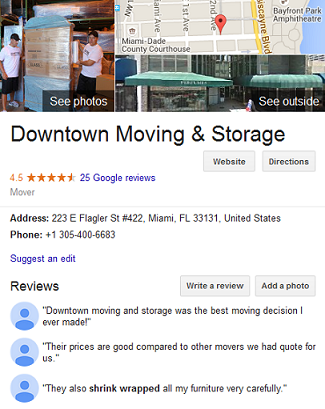 This moving company is located in Miami Dade County and offer local and long distance moves. They even accept emergency moves and provide you a moving estimate as soon as a representative inspects your home and belongings. The company also provides low-cost moving supplies and storage services. This company is an established relocation and logistics company specializing in international relocation. As a member of the International Association of Movers and the American Moving and Storage Association, they operate as fully licensed and insured movers for the protection of customers. It has accreditation with the Better Business Bureau with an A rating. This company is family owned and run. 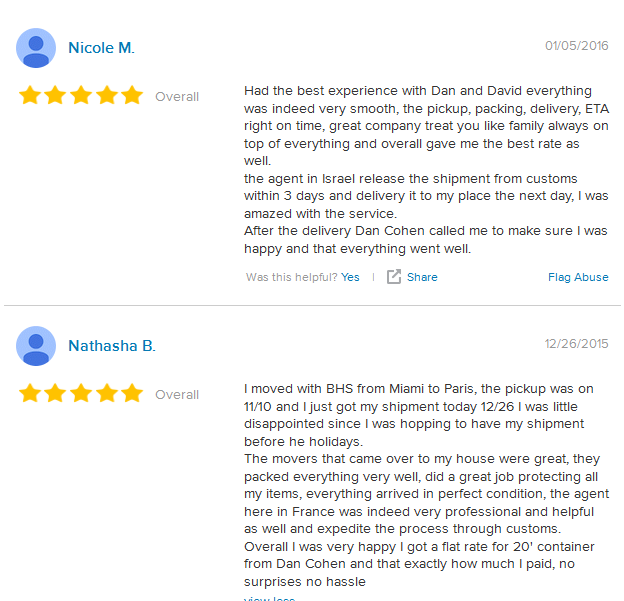 Whether moving from Miami to Paris or simply need to ship some off your belongings to an international destination, this company can provide what you need. You can also take advantage of their one month free storage solution if you are in between moves. 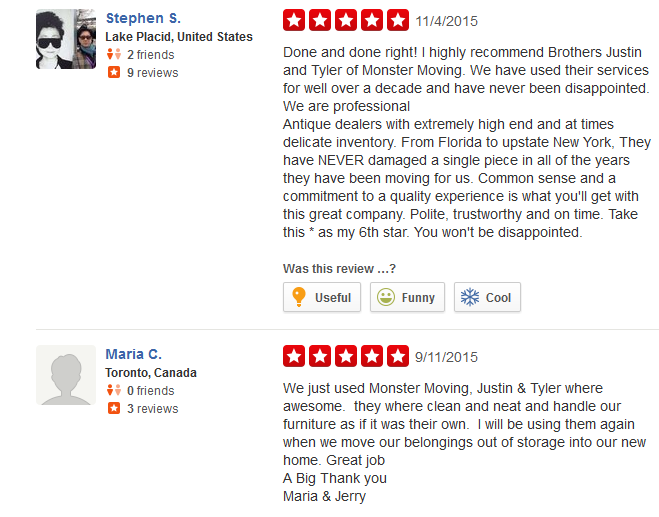 This moving company has been in business since 2009 and is fully licensed and bonded. It offers local and long distance household and commercial moves. You can choose them for interstate moves even when moving across the country. The company offers guaranteed rates with no surprises or hidden fees. 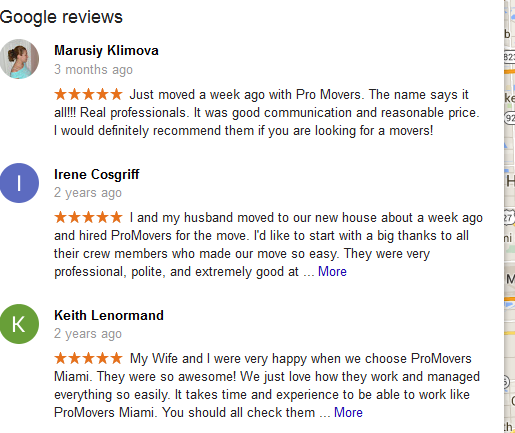 As Florida movers, they have offices in Miami Dade, Broward, Duval, Palm Beach, Hillsborough and Orange. Find out what advantages you can get from moving with this long distance moving specialist from the video below. 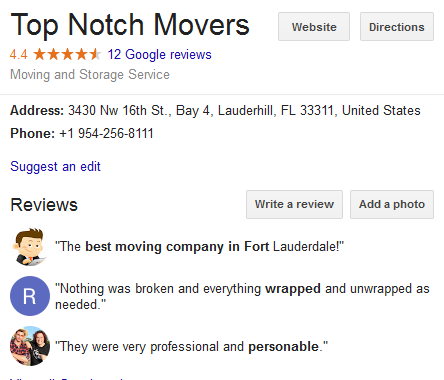 This moving company started in 1994 and strives for perfection with every move. The parent company is Zip Transport & Services, Inc. which specializes in commercial and industrial moves. 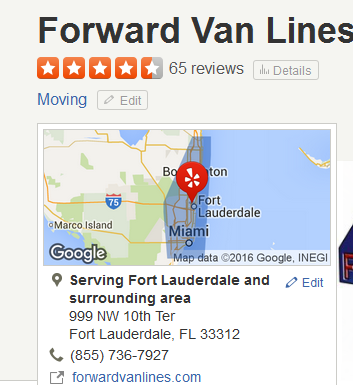 To accommodate residential and corporate moving needs, Forward Van Lines was established as a family owned and operated business. Payment for moving services can be done from their online portal using any credit card or PayPal, which is very convenient for its customers. 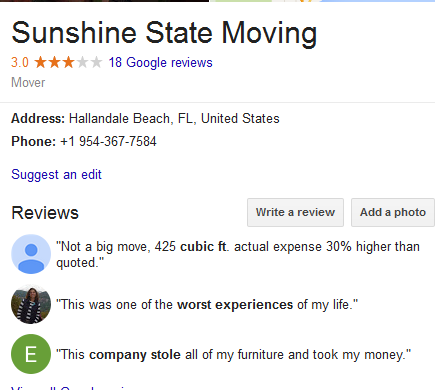 As a South Florida mover, this company has been in business since 1990. The moving is family owned and operated. It has a license from the State of Florida Department of Agriculture as an Intrastate mover and by Miami Dade County so you can feel assured you are dealing with a legitimate company. They offer residential and commercial moves and a wide variety of storage options in strategic locations for your convenience. As a city with temperate weather, you have to expect average highs between 87 and 89 from June through August. 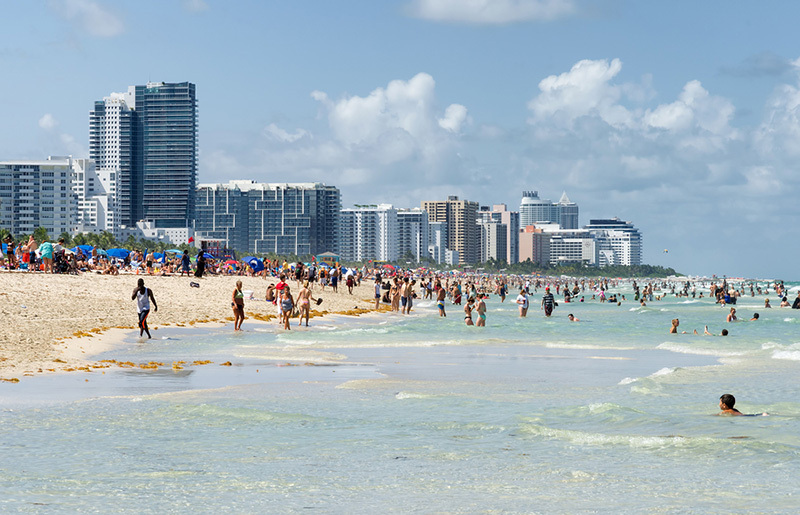 While you could benefit from the coastal breeze in Miami, most places are in direct sunlight so moving during the day can be hot and uncomfortable. It is important to get your electricity working before you move to have air conditioning when you arrive. Miami Lakes – middle class to high end featuring a golf club and country club, several parks and lakes. Miami Springs – located on the north side of the Miami International Airport and home to many airline employees. South Beach – this neighborhood has been revived recently and has become quite popular among celebrities. Miami Shores – nicknamed the poor man’s Coral Gables. Here you can find a small bedroom community of 10,000 and a small town atmosphere. Little Haiti – Creole speaking community situated between Biscayne Blvd. and North Miami Avenue. It features spiritual shops and Haitian stores. El Portal – located between Miami Shores and Little Haiti. It features single-family homes with tree-lined streets. It has a large Haitian and Hispanic population. Cost of living in this city is higher compared to the rest of the United States. It is not at all surprising because a first glance at the homes here will tell you that it is the enclave of many famous sports, music, and film legends. It is a popular choice of residence among the wealthy and even a modest condo in a waterfront location can command an astounding rental. Rental for one bedroom apartment is estimated at $850 in Miami while a 3-bedroom house could cost go for a monthly rental of $2,200. If you are not moving to South Florida with a solid job offer, your primary concern would be finding employment. You don’t really have to live in Miami to take advantage of the local climate and employment opportunities because nearby areas like Homestead and Hollywood will give you easy access to beaches, the nightlife, and jobs. The US Census Bureau reports that most Miami employment is from healthcare and social assistance sectors and education. The next important industry sector is recreation, entertainment and the arts, with more than 12.7% of Miami’s population in this line. According to the US Census Bureau, most Miami jobs (at a whopping 16.9 percent) are found in the educational services, health care and social assistance sectors. The second most influential industry for Miami jobs, with 12.7 percent of the population falling in this line of employment, is arts, food services, entertainment, recreation, accommodation and food services. In Miami are important recording studios such as Crescent Moon and a number of movie and television projects being done right in the city. Many Miami jobs are also in the retail and construction sectors with Miami Dade as the primary retail county. International trade offices and foreign consulates are also likely sources of employment. Majority of residents depend on personal vehicles to get around. The city does have a public bus system but the afternoon heat makes it uncomfortable to wait at bus stops. 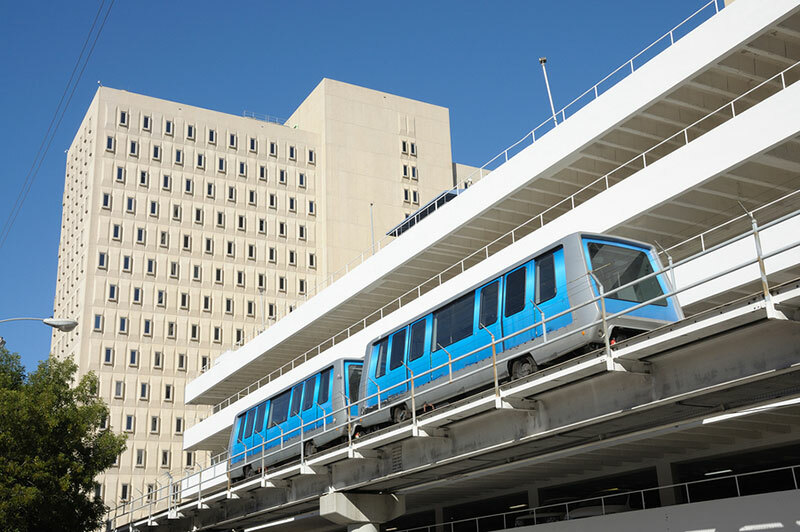 The city also has a Metrorail rapid system travelling through downtown Miami, Hialeah, Coral Gables and Palm Beach County, with 22 stations a mile apart. The I-95 is a popular choice for going north and south. There are various DMV offices in the region. To get faster service, make an appointment for updating your license online at https://services.flhsmv.gov/Oasis/OnlineAppointments.aspx. When you have obtained a valid Florida license ID, you can also obtain your voter’s registration card from the DMV’s online portal at http://www.miamidade.gov/elections. 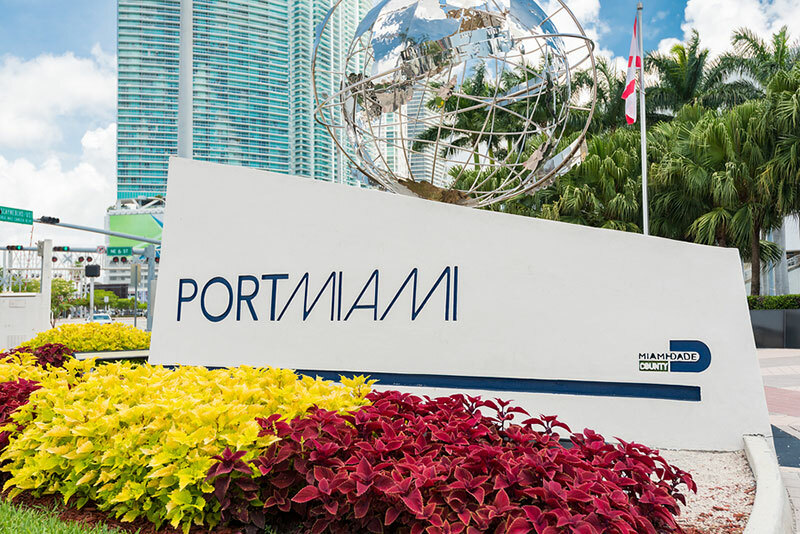 In order to update your address, you will need to visit one of Miami’s many post office locations. You can also do so online by filling out a change of address form at http://change-of-address-online.com. There is no income tax in Florida but Miami residents pay sales taxes with their purchases. Motor vehicles, property, and businesses are also levied taxes. You can control your property taxes by filing for Homestead Exemption. This is a state law permitting homeowners in Florida to claim up to $50,000 tax exemption for a primary residence. Visit http://www.miamidade.gov/pa/exemptions_homestead.asp. Electric power in South Florida is provided by the Florida Power & Light. There is an online system for residents to open or reopen electric service accounts https://www.fpl.com/account/moving.html. Miami Dade Water & Sewer Department is responsible for water service in the city. You can make your online application for water service at https://www.miamidade.gov/water/bill_app/startService.asp. 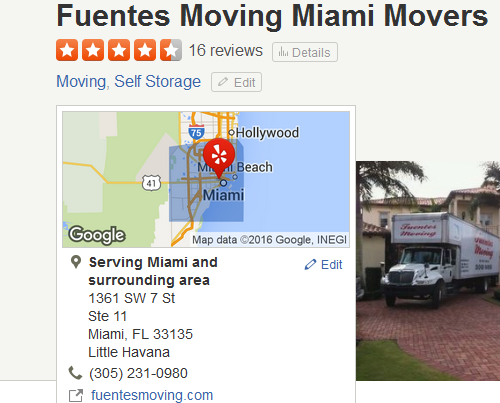 You have read moving tips to Miami, checked out a list of moving companies and customer reviews, and things you need to do before moving day. 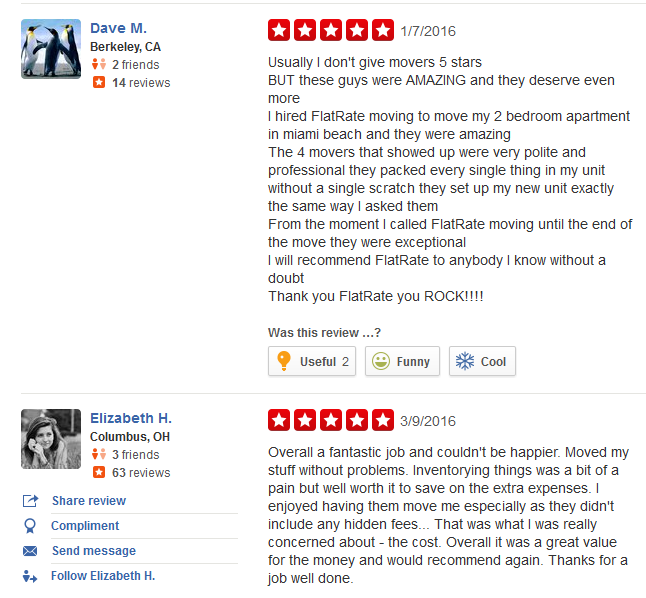 You are now ready to put your plans in motion, starting with getting the help you need to relocate to Miami. 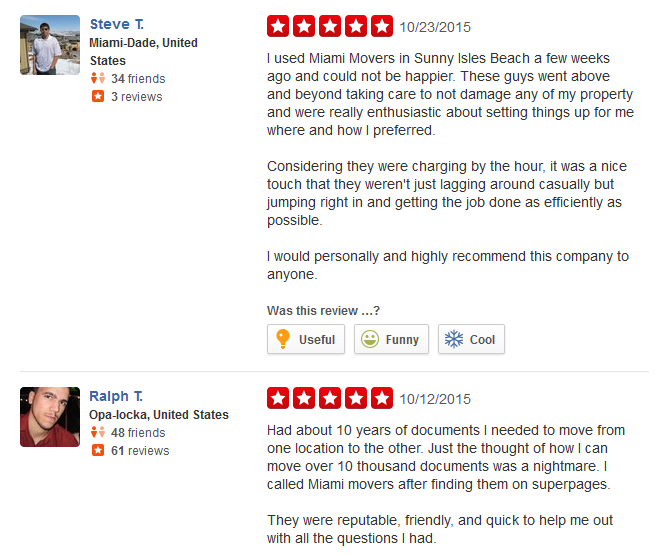 The best way to get started with planning your move is to find the right moving company in Miami. 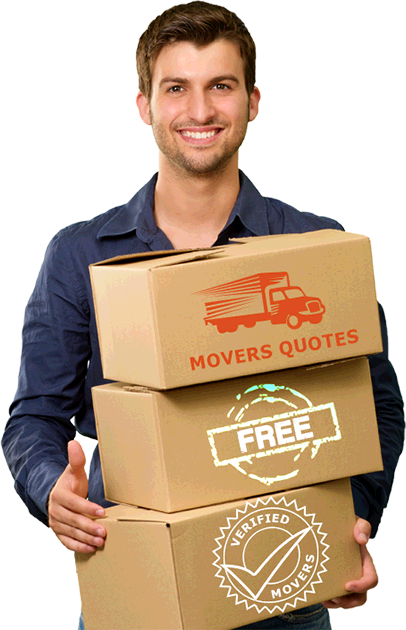 When you request for moving quotes from 5moversquotes, you receive the best moving rates based on information you provide such as moving date, size of move, and other details. You get this free of charge and with no obligation on your part. You can make your move stress-free and budget friendly when you pick your movers from our network of experienced and professional moving companies. 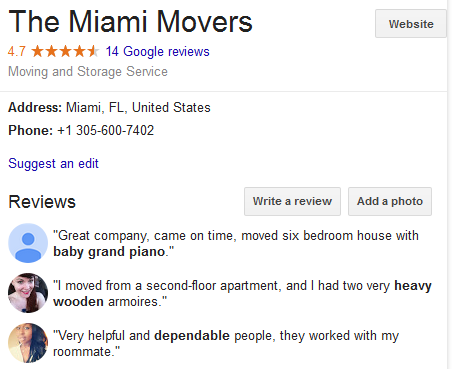 We hope you have a great moving experience with us.